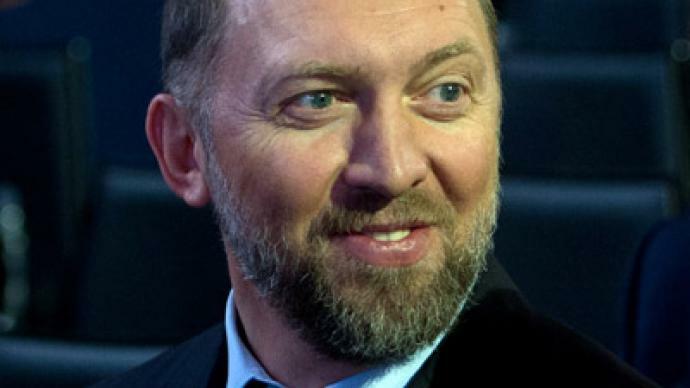 Russia’s 'failure' to build capitalism without a market economy costs it almost two thirds of GDP, Russian tycoon Oleg Deripaska told RT on the sidelines of the World Economic Forum in Davos. He also says the country lacks entrepreneurial expertise. 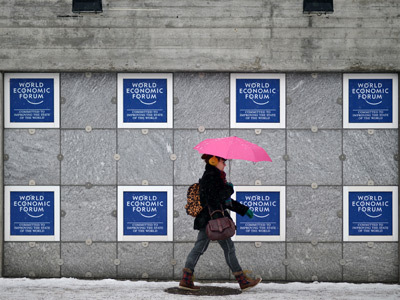 The World Economic Forum has ended, with three scenarios of Russia’s development presented during the event – energy sector review, institutional reforms and social cohesion. 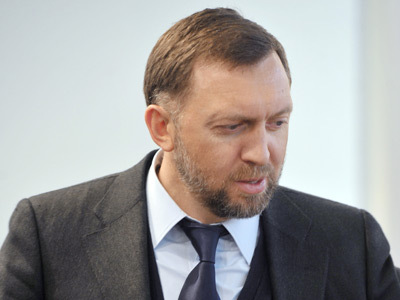 RT spoke with Russian tycoon Deripaska, who is most pessimistic about Russia’s method of building its economy. 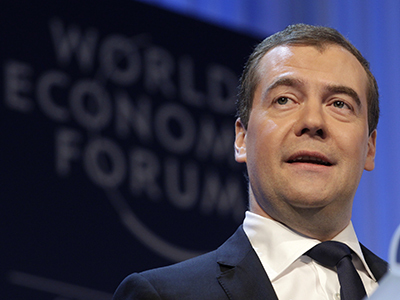 ­RT:Why do you think one of the key speakers was Prime Minister Dmitry Medvedev? He was obviously showcasing Russia as an investment opportunity. 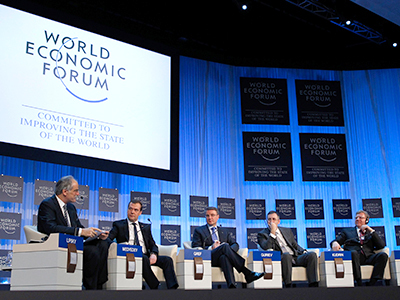 What do you think are the main hurdles at the moment that are not allowing foreign investors to flock to Russia? 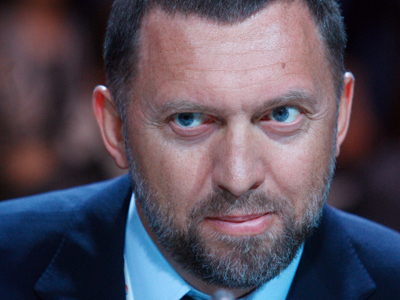 Oleg Deripaska: Because maybe they have a better opportunity. And for us it’s important to improve in our own situation and provide them with a more predictable climate, to give them a more transparent picture. The practice should be changed. And I think that was the main reason why government and officials now at Davos just to show they have a strong commitment not to do this. RT:What do you think is the first thing that needs to be done? What do you think the government should focus on to really address that? OD: First of all they should change management of the central bank. Because, what you said, the whole country all around the world tried to cure a problem which happened in 2008, and we have the complete opposite, actually. We have a central bank which creates more problems for the growth than try to support it. 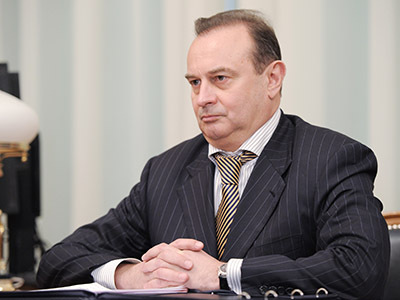 RT:Well, speaking of the central bank, when you had the opportunity to speak during the Prime Minister Medvedev’s session, the only thing you said was that Russia has two great banks, VTB and Sberbank, and that is certainly not enough. Can you elaborate on that? Can you tell me why you think that’s not enough for a country like Russia, and what exactly needs to be done in this respect? OD: Russia is not just Moscow, Russia is not just a resource sector. Russia is vast opportunity from Vladivostok to St. Petersburg, from agriculture to IT. And of course, we should have a better financial system. But no one could grow it – it’s not a mushroom. Not enough to have rain. Financial system – it is a commitment of the country, a commitment of the state institutions, central bankers, people, you know, to grow a proper infrastructure for capital market, for debt market. We already have a naïve view on opportunities in the beginning of the ’90s when we tried to build capitalism –not even democracy – no one has interest in democracy. We are trying to build capitalism without capitalists, without market economy, without people who understand how to run enterprise, private enterprise, and we fail. And this failure cost us almost two thirds of GDP. Now we try to develop country without that market. We try to bring innovation, we try to bring and use opportunity not to benefit out of WTO without comparing what is the cost of capital in Russia and in the country which we want to compete with – Germany, with the United States, with Korea. And we have a cost of capital, you know, which is four times higher than the same cost of capital in the US, three times higher than Korea, and of course it is …it will not add us more opportunity, and this is what we should do. It’s not foreign investment; it is not foreign media or analysts. It’s our homework, and we haven’t started yet. - CEO of the largest aluminum company in the world, RUSAL. ­RT:The cost of capital in many ways is tied to inflation, so that is one of the issues that should be tackled – would you agree with that? OD: Yeah, but Russian inflation has no monitory base. It’s everyone knows. Even central bank analysts show this. And we’re not talking about inflation as a basic problem. It’s about money supply. There are basic failures. We don’t have institutions who provide. We don’t have middle class. We don’t have foreign investment which could provide money supplies. It’s only central bank, and central bank should not sit in comfortable chairs teaching us there is a structural problem, there is inflation, lying to us about the costs, and about what’s going on with our inflation, with our costs of capital, with our cost of debt, and this is something that should be changed immediately. RT:And how do you think it should be changed? 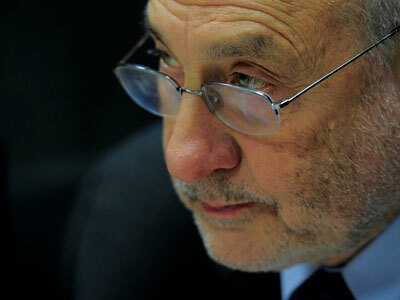 And how do you think the central bank’s approach could be changed – what is the main problem? What is the main reason for it being the way it is? OD: The main problem is the people. If you look at the CVs, no one was in private banking. No one. And they run, almost market economy. We still have a great state presence, we still have a lot of inefficiency. It’s ridiculous. We need to have people who experience a problem, we need to have people who know what’s true customer relations and solve this issue, otherwise it will…it could run forever. RT:You are very big on China. And there’s been a lot of talk this time around in Davos that Africa is going to be the next China. You have assets there. Would you agree with that assessment? RT:What prevents them from being the next hotspot for growth? 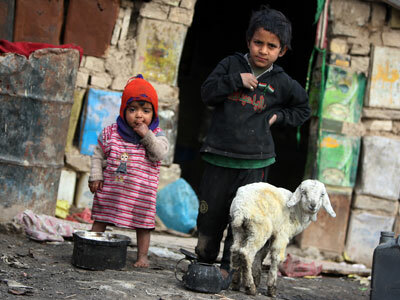 OD: No governments, no stability, no competence, lack of education. As a result of lack, lack, lack – it’s just a dream. RT:You mentioned the WTO and obviously that’s one of the hot topics for Russia in general. We have a lot of expectations but, you know, nobody really understands how our economy’s going to benefit from the WTO accession – how do you think it’s going to unravel? OD: The WTO will not change monetary policy – our economy will not benefit for sure. It’s an opportunity – you need to use this opportunity. But again, if cost of capital and debt in Korea three times less than in Russia, who would invest in component somewhere in the Ural region instead of, you know, to buy enterprise in Korea to have proper supply base, productive workforce, and no barrier to bring this component back to Russia and assemble it. This is the reality – it’s not a charity club. What we are saying, industrial people to our government. First prepare the economy. Try to recognize what sector would be developed. Try to organize support for this sector, and then you know jump into this shark ocean. RT:Well, do you think that this lack of available capital is one of the reasons Russia’s economy is not diversifying away from its dependence on the energy exports at the rate that perhaps some would hope? OD: It’s one of the main problems.We need to not just have sectorial diversification, regional diversification. Now only four regions in Russia benefit out of development for the last 10 years and I think main problem is human perception. Still people would not look at the business as opportunity not to solve many problems. They still believe that the government should, you know, do some miracle and provide solution which is huge mistake. And of course no one wants to support the business… we talk about energy reform – it is nowhere. Monetary reform which we already discussed. We talk about access to infrastructure, we talk about investment in infrastructure. We try to look at the development in transportation sector, in energy sector. We try to develop a system when the customer through yearly increase in tariffs will pay for development of utilities. It’s ridiculous. RT:You mentioned image and the perception – that’s really also been one of the main issues here – everybody talking about the image of Russia not quite being up to par , not really quite being up to what the reality of what doing business in Russia is. But according to many surveys less than 30 per cent of Russians are actually interested in having their own businesses – that’s a very low number compared to pretty much any developed country. Why do you think that is, and do you think it’s a matter of entrepreneurs having a bad reputation or having the wrong image, or do you think there are deeper underlying problems? OD: I think the country should recognize it is hard work and you need to commit almost whole of your free time to do it. We need to help them to grow. We need to reduce barrier to start the business. As I said, banking system, monetary policy, access to resources, infrastructure, and through support of the regional government. And actually fair budget system. Now we consolidate all money from the budget to Moscow and then redistribute it. In nature it’s killing incentive for regional governors to develop something because then it would be equalized. RT:So there’s a big divide between the center, Moscow, and the regions, we all know about that, and that’s also been one of the issues discussed here at the forum on a global level – this divide between the rich and the poor – the haves and the have nots. How big of an issue do you think it is for Russia? OD: Unless we will not move our capital some way in the region, like Yekaterinburg, Novosibirsk, it will become even worse. It’s actually creating wrong signal for the labor market. We attract so many people from ex-Soviet republics which actually creates more burden for Moscow, St. Petersburg’s Region, Moscow Region, St. Pete’s Region infrastructure and will actually create more tension, and this is completely unnecessary. The only way is to move capital somewhere not so close to Moscow – it is decided now because it is another mistake – and try to develop the same way as Brazil did, as Kazakhstan did, and it would be very beneficial and would solve a lot of problems. RT:It looks like China is really driving the demand in the metals and mining sector at the moment. Do you think that’s going to be the trend going forward? OD: Yes. Because they’re in the industrial phase. They need more commodities to complete their programs. There was a cycle in China development when they had very fast growth rate in terms of consumption of these commodities and they create misperception in the world it’s over and now we need to rationalize our output not to meet demand, not to produce waste, not to produce metal and resources for the ‘stock’ and this is the reality. There will be less investment in mining sector in the future and investors should be very cautious, you know, to choose what project to follow. RT:If there will be less investment in the mining sector, what other sectors are you looking at yourself? OD: We look at Russian development in the factory and financial sector construction. RT:In the financial sector what are you interested in? OD: It’s a future story.